Posted on 03. Oct, 2010 by Corey in All, General Baseball. 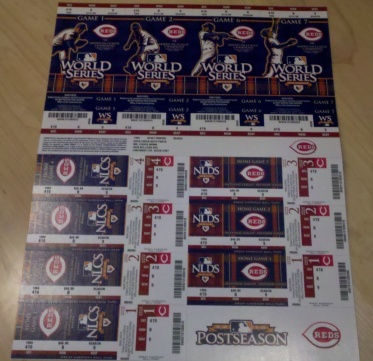 The 2010 MLB Regular Season is officially over and it is time to turn the page and get ready for Postseason Baseball. No matter who is participating, I make it a point not to miss an inning each year. But this year will be more special as my favorite team, the Cincinnati Reds are one of eight teams still standing.